Sonia Snushall was ecstatic to be home for her daughter’s 21st birthday. “We had plans to decorate my room in the hospital and to have a cake. It was nice not to have to do that,” the social worker, 41, said from her home in Peakhurst in south-western Sydney, which she shares with her husband Phillip and daughter Jasmin. They held a quiet family gathering in February to mark Jasmin’s birthday. Two months earlier, Sonia had been diagnosed with a rare form of cancer, called leiomyosarcoma, which affects smooth muscle tissue. She underwent a successful 10-hour operation but also worried she’d be susceptible to hospital-acquired pressure injuries, or HAPIs, because she’d be immobile during her lengthy recovery. HAPIs are painful skin injuries caused by unrelieved pressure and are most likely to affect patients who are unable to move or have a medical device in place. “I knew I’d be bedridden in hospital for several weeks. Not being able to turn and move yourself is frustrating. I had to lie on my side. It can place a lot of pressure on your hips. “My big concern was getting pressure injuries. Your skin can get irritated and break down. There’s a high risk of infection. I had so much to recover from already and I didn’t need that too,” Sonia said. But thanks to an innovative program at Sydney Local Health District which has substantially reduced and prevented the incidence of HAPIs, Sonia’s fears were allayed. The program has been led by Dr Michelle Barakat-Johnson, the District’s Lead Clinical Nurse Consultant for pressure injury prevention and management. 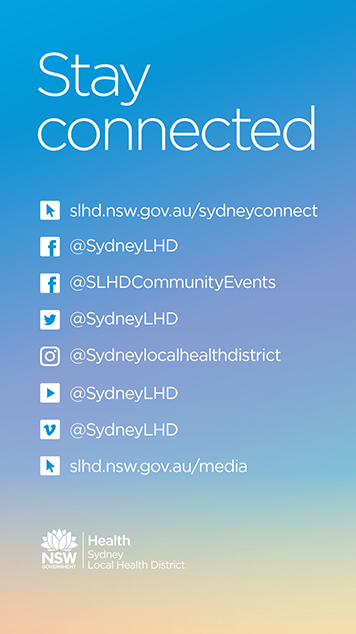 As a result of Michelle’s work, Sydney is currently the best-performing health district in Australia, based on publically-reported data, with a current HAPI rate of 0.77 HAPI per 1000 bed days. But, it wasn’t always the case. Over a five-year period, there had been a 57 per cent increase in the incidence of HAPIs and a 73 per cent increase in the prevalence of HAPIs in the District. “Between 2010 and 2014, the incidence of hospital-acquired pressure injuries was quite high across the District,” Michelle said. Awarded a three-year $120,000 scholarship from Sydney Research in 2015, Michelle was able to fast-track a project to design and implement a new plan of action. “We’ve completely re-shaped the way we look at pressure injuries and the care we provide to our patients. The equipment and the skin care products we use are evidence-based. “The nursing practice has changed. There’s regular skin assessments and frequent re-positioning of [immobile] patients,” she said. The District now uses one supplier of high-tech pressure-relieving beds and mattresses, has switched to cleansing and moisturising skin care products and appointed Skin Integrity Nurses who monitor skin and wound conditions to prevent complications like HAPIs. Michelle and a Skin Integrity Nurse visited Sonia two days after her surgery. “The Skin Integrity Nurse was amazing. She checked-in on me regularly. I think the hospital bed, which could tilt, and the mattress, which had pressure-relieving air pockets, also helped. “And the nurses frequently turned me. They would check my hips, shoulders, heels, and my ears [for any pressure injuries]. And, they used special creams and massaged those spots. “I didn’t have any breakdown of my skin which is a good outcome,” Sonia said. Michelle has had papers published in the Australian Health Review and Journal of Nursing Care Quality about the proactive practice change she has led across the District. And she has been awarded a PhD from Sydney University for her work on HAPIs. “I feel proud to work in a District that supports looking at a different way to approach things. It has resulted in the best available care for pressure injury prevention for our patients,” Michelle said. The District’s Director of Nursing and Midwifery, Ivanka Komusanac, said Michelle’s work had been instrumental in reducing the rate of HAPIs in patients admitted to the District’s facilities. 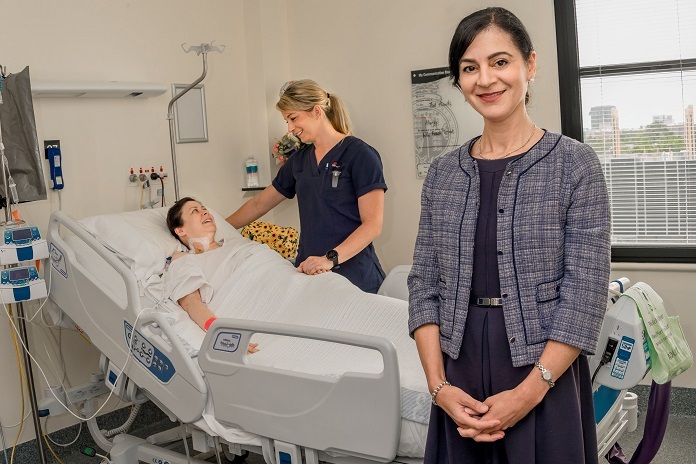 “We are fortunate to have someone of Michelle’s expertise and dedication working to ensure that we are leaders in best practice in prevention and management of pressure injuries and providing world class care to our patients,” she said. Sonia was discharged from hospital a week earlier than anticipated and said the focus on HAPI prevention contributed to the speed of her recovery. “People who develop pressure injuries can be in hospital for months. If I had to stay in hospital longer because I developed it [a pressure injury] in there – that would have been terrible. But I’m doing really well,” she said. It’s expected it’ll take three months for Sonia to fully recover from surgery, which also gives her time to plan a big party to belatedly celebrate her daughter’s birthday.